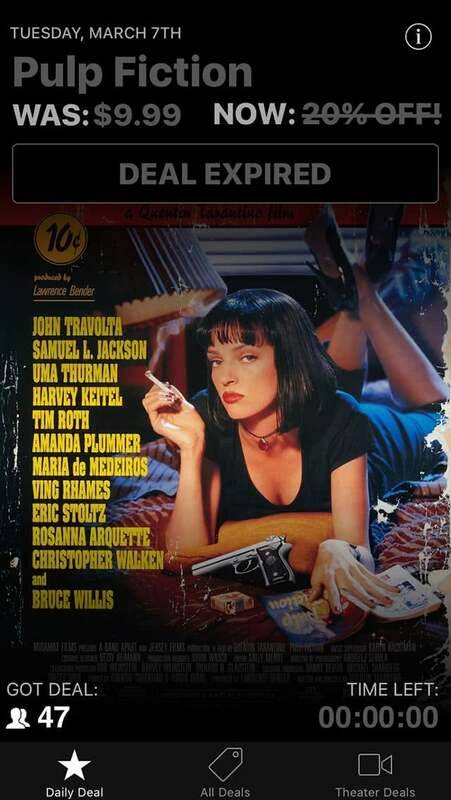 Movie Deals Daily was built with simplicity in mind. 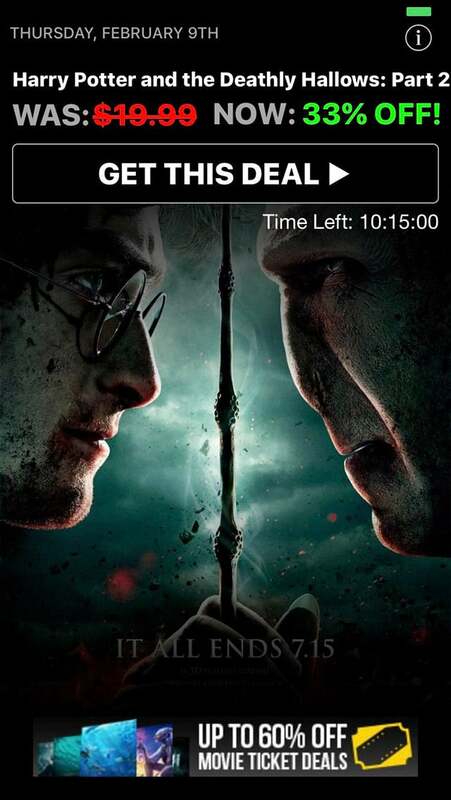 Swipe left and see all the movie deals everyday. Who doesn't like free stuff? 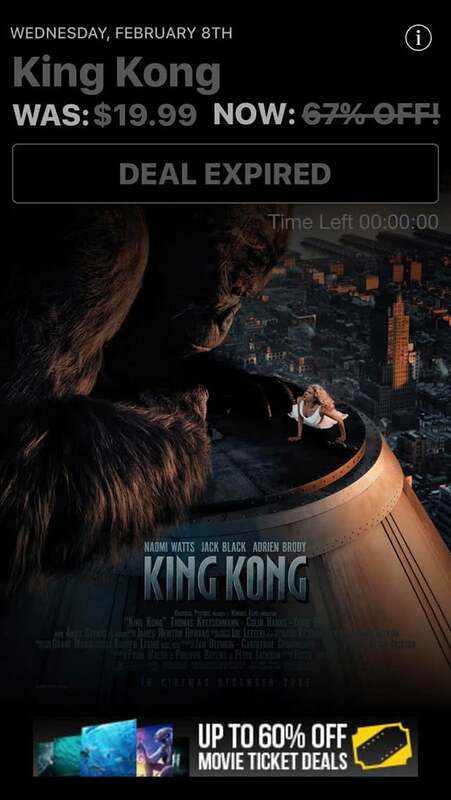 Movie Deals Daily app is free to download! 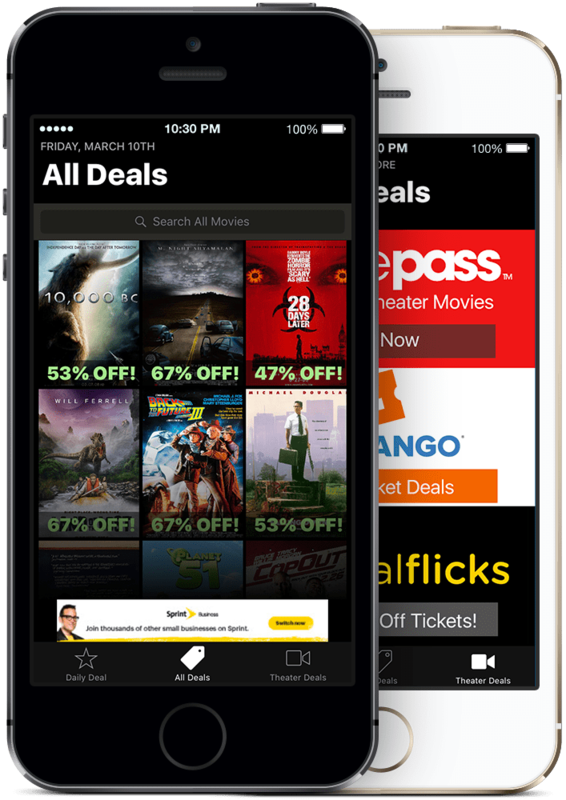 With one-touch Movie Deals Daily gives you a convenient list of all the deals so you can peruse them all at one time and take your pick of movie deals. Share with your facebook and twitter friends with one tap. 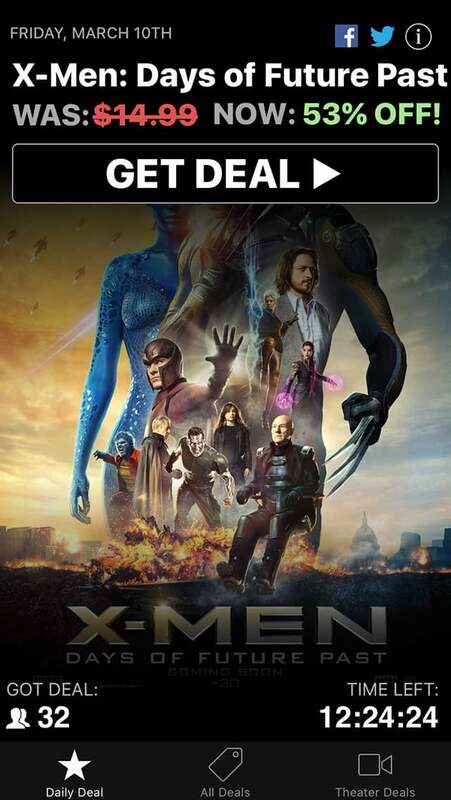 Movie Deals Daily also provides links to in theater "deals". 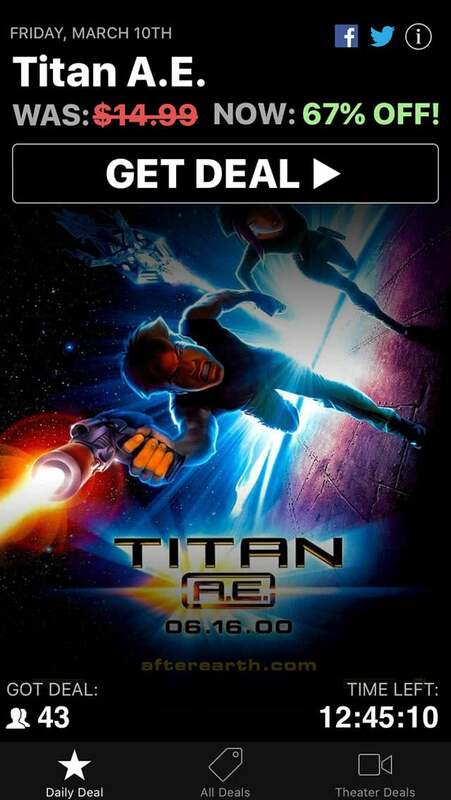 Movie Deals Daily only highlights the top deals! However, you can always search for deals on other films. What is better than having all your movie download options in one place? 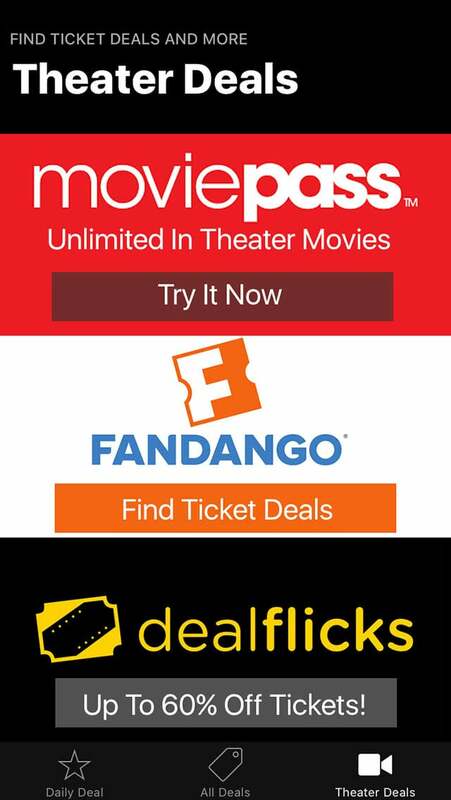 Movie Deals Daily put them all together in one convenient location. 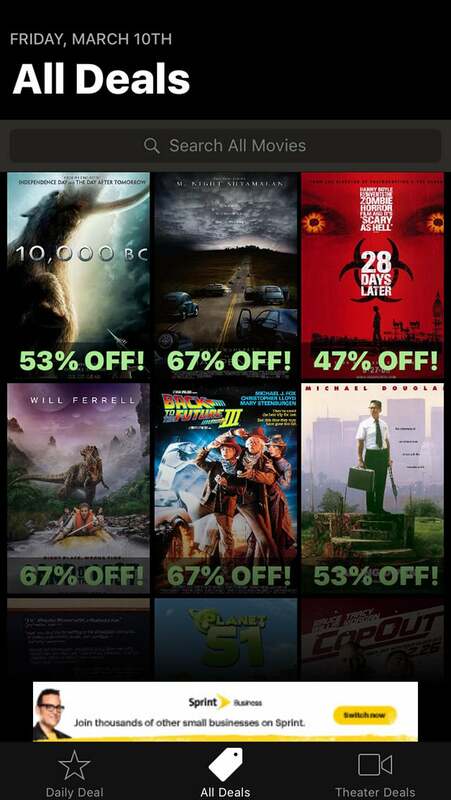 With the swipe of a finger or one quick touch you can see all the best deals everyday on movie downloads. Starting at $4.99 and up you can now download all the best deals each and every day. New deals available each day...but hurry! Deals are only valid for a limited time. Each day we give you the opportunity to purchase movies and tv shows at savings of 25%-75% off retail price. Watch your savings grow as you enjoy watching your movies on your iPhone, iPad, Apple TV and more. 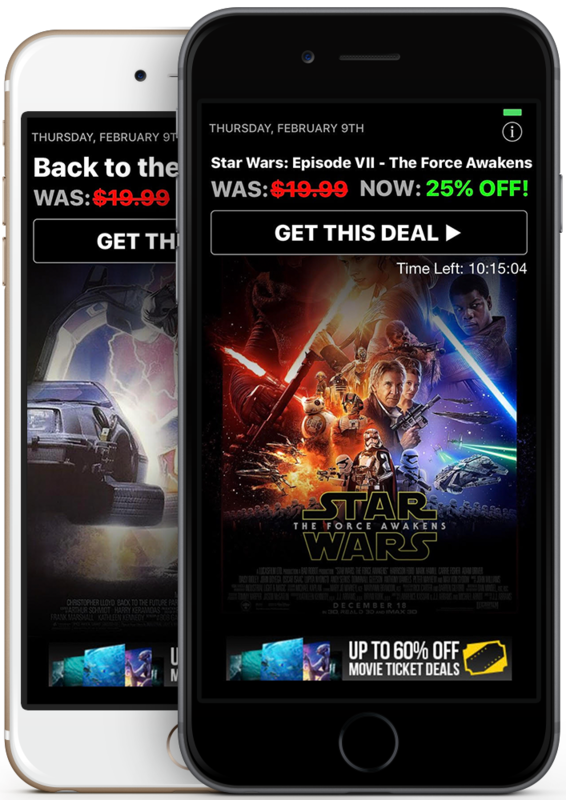 It's quick and easy and user friendly making Movie Deals Daily the perfect app for all the movie loves out there who can't pass up a great deal on their favorite films. The best part is this app is FREE to download so get it today and start saving now. Each day Movie Deals Daily updates with a new list of films that are at unbelievably low prices. Don't see the movie you want? 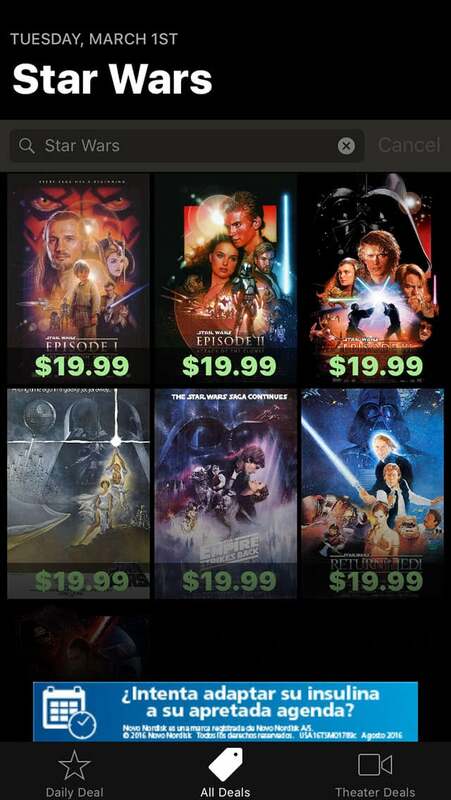 You can always search your film from the "All Deals" screen. We also feature links to grab deals on your favorite film currently showing in theaters. © 2019 FlickDirect Inc. All Rights Reserved. FlickDirect™ and Movie Deals Daily™ are trademarks of FlickDirect, Inc. Photos & certain artwork used on The Movie Deals App are copyright protected and are the property of their respective owners. Studio logos & other trademarks used herein are the property of their respective owners.